Sooner or later, we all confront situations with no easy way out. For human beings, sickness, old age, and death, either our own or someone else's, seem like insurmountable barriers. We all struggle to avoid these things, and the media encourages our pursuit, offering plastic surgery, exercise routines, and all manner of pills to achieve eternal youth. But sooner or later, we need to realize that old age and suffering are not going to magically dissolve. Dogen said: Suchness is the real form of truth. Our life is constantly changing, our minds are constantly changing. This can make us feel helpless and lead us to ask: On what can we rely? Or, this flux can be used to practice and deepen our awareness. To ask what is suchness is to ask how all things exist. Through this question we can become truly intimate, but we have to trust the question, trust the process, and trust ourselves. Every day we are faced with moral decisions, and it's often difficult to know how to act. If there's a snake in our garden, do we kill it? If our co-worker is stealing from the company, is it our obligation to speak up? What if we tell our children not to lie, then the phone rings and we ask them to say we're not home? 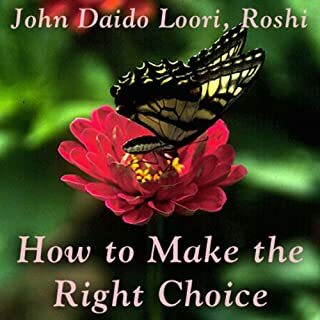 In this compelling talk, Daido Roshi explores the role of morality and ethics in our lives. 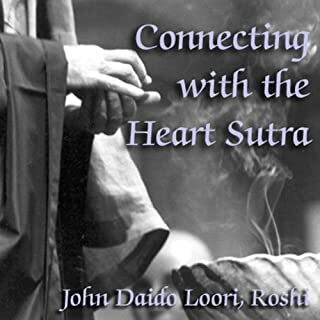 The Heart Sutra is one of the most important teachings in all Buddhist schools, including Zen. In this challenging talk, Roshi discusses The Heart Sutra and explains the Buddhist concept of emptiness. Emptiness doesn't mean that the world is empty, nor does it mean that we are supposed to walk around like emotionless zombies. Realizing emptiness is essentially realizing that we are not separate from the world around us. When we think of spiritual powers, we usually imagine walking on water or performing some kind of miracle. 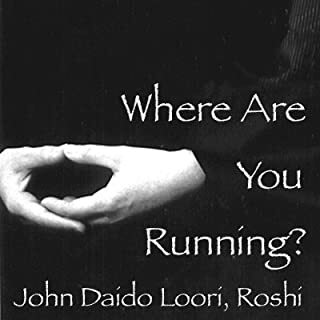 However, Roshi points out that true mystical power resides within the simple actions of our everyday lives, whether we are cooking a meal, washing the dishes, or driving a car. These activities seem ordinary, but they have an extraordinary aspect as well. Many of us are haunted by the past. We try to make painful memories go away by numbing ourselves with food, alcohol, and entertainment, but the past is still there and it's still eating away at us. Ironically, our obsessive thoughts about the past occur because we haven't fully processed it yet. It is a constant practice to not get stuck in the language or forms of Zen training. The precepts, wisdom, higher states of meditation - these are all concepts that need to be let go of. Don’t turn your Zen practice into a nest, a workshop, a medicine cabinet or a make-up kit. True realization is traceless. It has nothing to do with your ideas about it. Even at the top of a hundred-foot pole, there’s nowhere else to go but forward. How much of your daily life is taken up by fantasy? The reality is that most of us go through our entire day, indeed, our entire lives, caught up in make-believe stories. Although fantasy seems more compelling than everyday tasks like sewing, sweeping, or cooking, it's an incredibly wasteful activity that takes us away from the vivid world of the present moment. Human beings spend most of their time talking to themselves. Constantly preoccupied with the past and the future, we live in a perpetual state of distraction and mental turmoil. But what happens when our internal chatter quiets down? 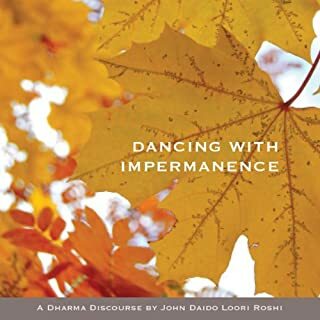 Roshi discusses our minds' capability to experience profound stillness, and the heart of Zen practice is to find this still point within ourselves. Our world is full of words, whether we are listening to others, watching T.V., or talking to ourselves. In a religion like Zen Buddhism, where so much emphasis is placed on silence and meditation, what is the place of words and literature? Zen practice doesn't mean abandoning language, but rather using it to our advantage. The truth isn't found in either words or silence; it encompasses both. Feeling superior to others is a common problem for most of us. We cut off other people and dismiss them based on how they look, their gender, or even their age. This arrogance is a barrier to progression in our spiritual life and indeed in all of our life. Babe Ruth hit 704 home runs, but no one ever mentions that he struck out about 3,000 times. In our goal-oriented culture, we tend to forget that you can't hit home runs unless you strike out; we think that failure is something bad, and as a result we become afraid to take action. In the modern world, we are encouraged to be special, to be different and stand out from everyone else. Zen Buddhism has a different approach, encouraging us instead to be "nothing special". Daido Roshi declares that our lives are fine exactly the way they are; Zen is not about adding anything to our lives, it's about seeing the inherent perfection we already possess. All societies have laws to prevent physical and verbal violence, but what about the violence we create with our thoughts? Daido Roshi states that our minds are incredibly powerful, and they create a force that shapes the reality around us. We can only bring peace and healing to ourselves and others if we first have peace in our minds. But we can't quiet the mind until we see how much time we spend talking to ourselves, and until we let go of our almost constant inner chatter. 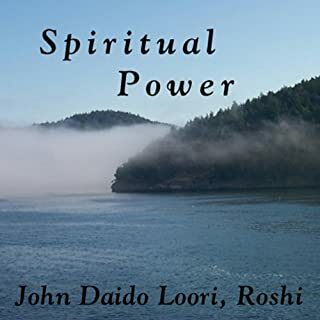 Many of us yearn for a deeper spiritual connection, but few of us know how to manifest spirituality in our daily lives. We buy into conditioning from the media and our schools, and as a result we experience life as limited and painful. Daido Roshi says that this dilemma is like someone sitting by a river and dying of thirst. John, John, you've outdone yourself! The world is teaching us all the time. Teachings come from rivers, rocks, and mountains, and teachings come from pollution, AIDS, and starvation. But how much of these teachings do we actually hear? Roshi says that we can't possibly experience the world around us if our senses are dulled. Zen practice shows us that it is possible to experience life in a new way, a way that allows us to hear with the whole body and mind. Zen Buddhism emphasizes meditation as the means to study ourselves and understand who we truly are. Dharma talks are an essential aspect of Zen training, and the talks offered here were given at both the Zen Mountain Monastery and the Zen Center of New York City. Our ordinary point of view divides the world in two. Me and you, right and wrong, success and failure, life and death, practically all of our daily encounters are about divisions. We separate ourselves from the world around us, and this separation is the cause of our pain and suffering. Everyone has experienced life's classic dilemmas: Should I do this, or should I do that? Should I buy this, or should I buy that? Should I be here, or should I be there? We tend to resolve these questions by analysis and rationality, but when we look carefully we see that our choices usually aren't rational; more often they are a decision of the heart. It's essential that we cultivate the intuitive aspect of our consciousness so see beyond just two sides of a question. We separate the world into ourselves and everything outside ourselves, and this creates a false prison we don't know how to escape. By allowing ourselves to be spontaneous and intuitive, we can be present in the current moment, and this gives us the capacity to nourish the world around us. Zen Buddhism emphasizes zazen, or seated meditation, as the means to study the self and understand who we truly are. Dharma talks are an essential aspect of Zen training and take place in the context of zazen. Said to be "dark to the mind and radiant to the heart", a dharma talk is one of the ways in which a teacher points directly to the heart of the teachings of the Buddha. In our meditation practice, it is easy to get lost in self-doubt, fantasy, numbness, and emotional agitation. Dharma talks help to ground our practice, providing inspiration and an essential recognition of exactly where we find ourselves, so that we can learn to face difficulties and obstacles with a free and flexible mind. 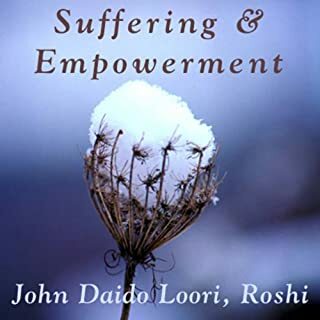 This talk was given at Zen Mountain Monastery or the Zen Center of New York City of the Mountains and Rivers Order of Zen Buddhism, founded in 1980 by the late American Zen Master John Daido Loori, Roshi (1931-2009). Not about Aron Ralston's survival story. 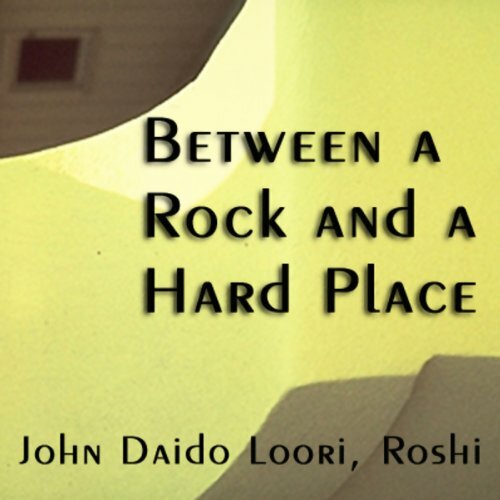 What did you like best about Between a Rock and a Hard Place? What did you like least? The spoken tone of the speaker was soothing, I found it enlighting and at times very funny. What I liked the least was the fact that the story was not about Aron Ralston's survival story.